It's time for me to share one of my absolute favorite Slow Cooker recipes, Slow Cooker Stuffed Turkey Meatballs. I still remember the first time I tried this recipe. 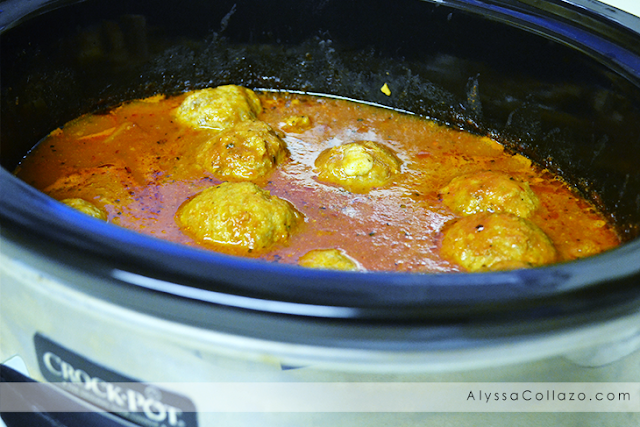 I wanted to try a new Meatball recipe that was simple to make, different and of course a Slow Cooker meal. I was going through our refrigerator and remember looking at my daughters mozzarella cheese sticks and thought, hmm I wonder how that would be stuffed in a meatball. And just like that I created a meal that is not only easy but delicious and full of flavor. Think Italian seasoning, turkey, sweet sausage, cheese and a Ragu Six Cheese sauce. Is your mouth watering? Because I know mine sure is. Pasta is a huge thing in our house, so I am constantly keeping things like Ragu and Spaghetti in stock. For this recipe I used ingredients that I almost always have in our house. You can also use your Slow Cooker on two different settings. Low for 5 - 6 hours or high for 2 - 2.5 hours. This time around I wanted to try a new sauce and cheese, so I went with Ragu Six Cheese sauce instead of my usual Ragu Traditional Sauce and I used fresh mozzarella. It definitely made a difference, next time around I want to try a different Ragu sauce, maybe Tomato, Garlic & Onion or Spicy Italian Style. Which Ragu sauce would you try for this recipe? Cook on low for 5 - 6 hours or high for 2 - 2.5 hours. And there you have it. A dish perfect for any pasta lover. These Stuffed Turkey Meatballs are great for all your Holiday day parties, even as an appetizer. 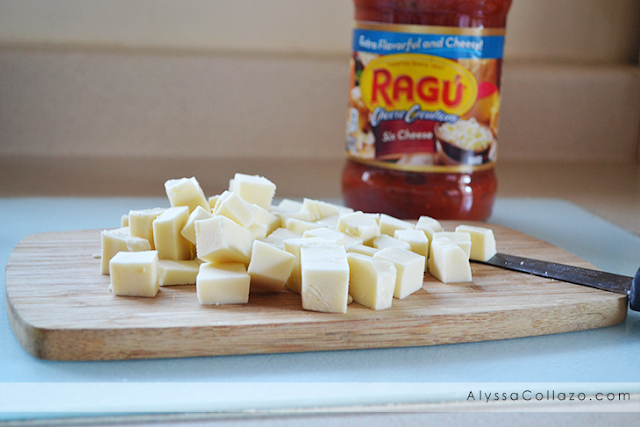 Be sure to check out Ragu for more delicious recipes. Do you have any Ragu inspired recipes? Oh wow. I could make this and replace turkey with ground beef instead. My family would love it. Thanks for giving me another idea for a great dinner tomorrow. These sound so good. I replace beef with turkey all the time and my family never even notices. I think I could eat these right off my computer screen. I am now officially hungry. These will be great for the family to eat easy to make and delicious I am sure. I had some fresh meatballs on hand that had not been cooked, but are thawing now. I've not done them in the crockpot so that is what I'm doing right now. Thank you. OMG, those are perfect! I would skip the spaghetti, and throw those bad boys onto a nice sub bun. Yum! Actually, I was planning on making meatballs tonight and was wondering how to make them extra special. This is perfect timing! I've never tried stuffed meatballs, so I'll give it a go tonight! Those look amazing! I can't wait to make them at my house! Wow, these sound really good. I'd love to make some with pasta sometime soon. My kids love when I make stuffed meatballs...but then again, they'll eat anything with cheese in them! I was literally telling someone I had meatball but I think only if it is made with beef. I think I would enjoy this recipe because its made with turkey meat! This looks great!I love using my slow cooker to cook anything that I can. These kind of meals are a staple in my home because of the convenience! This looks easy and tasty! This is a great way to prepare our dinner. The slow cooker really makes our lives easier. I love stuffed turkey meatballs. My grandma used to prepare this during Thanksgiving Dinner. Thanks for this awesome post. Yes I had an delicious experienced with RAGU, recently I cooked yummy Spaghetti for my grand kids and they're really enjoyed and loved it. This is great idea for Christmas Eve. I have to admit that I love love meatballs and Ragu sauces. This recipe for the slow cooker stuffed turkey meatballs I am going to be making this week for sure. Thanks for sharing the recipe. I've never had a stuffed meatball before, but it sounds like something I would love. I might have to try these with my family this week! 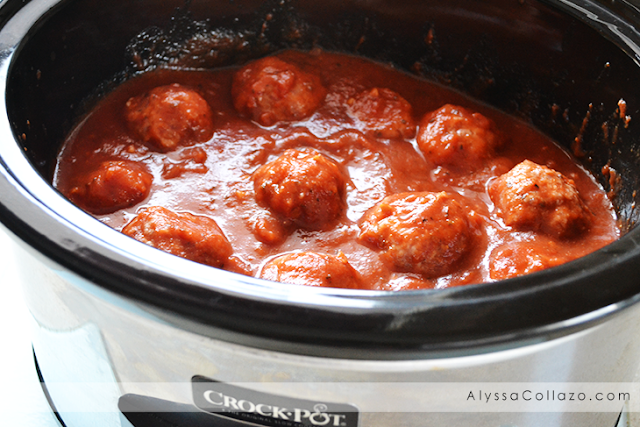 I love slow cooker meatballs and these turkey meatballs look amazing!! Great post!!! The meatballs look so tasty! I love easy recipes like this. I can't wait to make this for my family. As I sit here hungry and dreaming of lunch ideas I suddenly have the urge to lick this screen. I won't, instead I will make these for dinner. Yummy, this sounds so good. I'm thinking about making spaghetti tonight. I haven't had it in a long time. My husband would love this dish! Looks absolutly delicious! I love bringing out the slow cooker to start dinner. 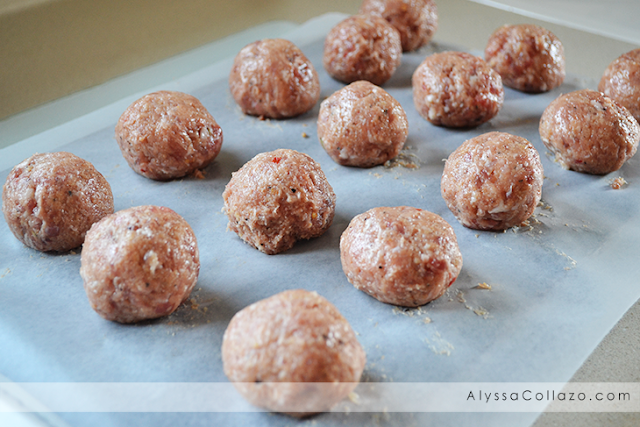 It makes the house smell amazing, my boys love meatballs so I think these would be a hit. I love using my slow cooker and we love Ragu as well. Would love to try your recipe. Looks delish! I have never tried making stuffed meatballs before. They look so delicious and easy to make. I will have to try this recipe on the weekend. 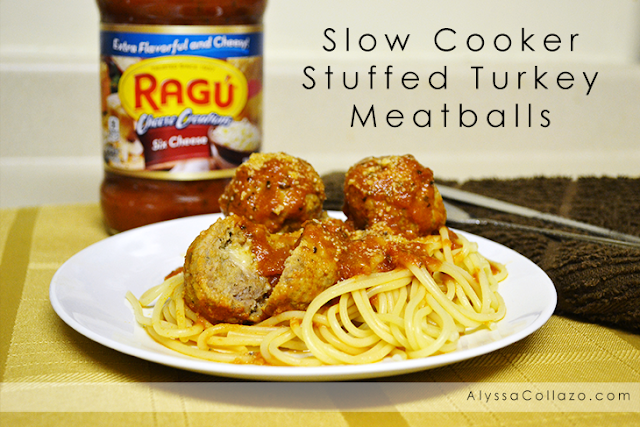 I love my standard meatballs made in the slow cooker but these sound even better! So excited to try this recipe! Oh yum! I love meatballs, I can't wait to try your amazing recipe! I do not eat meatballs, but my kids love them! I've been buying the frozen kind, but I bet they would prefer these. And I love anything in the crockpot because clean up is a cinch! These look so good! We have Ragu almost once a week - it's so good and so easy to make a quick meal. My craving for spaghetti meatballs is at its highest level after seeing this post. Love this! I don't eat meat due to being a vegetarian, but one of my brothers love turkey. He'd certainly love this recipe! It looks sooo good! My family is a big meatball and gravy fan, I can wait to try it! My kids have been asking me to make meatballs. Thanks for this recipe! I will give it a try. 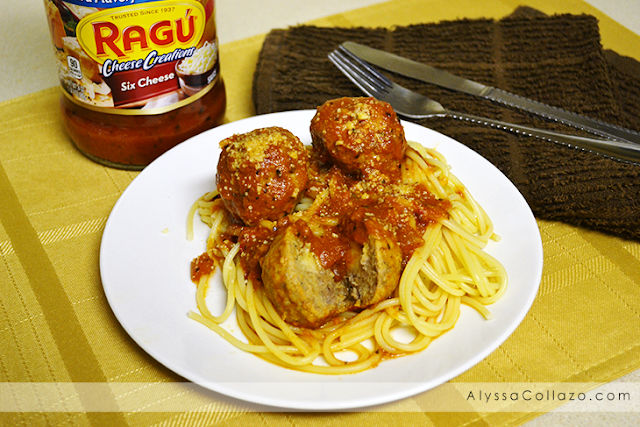 I'm craving for spaghetti and this Turkey Meatballs just made me crave more! Thanks for sharing this recipe.